Build, deploy, and manage applications in the cloud with Heroku, one of the first PaaS platforms to offer sophisticated hosting and development services. 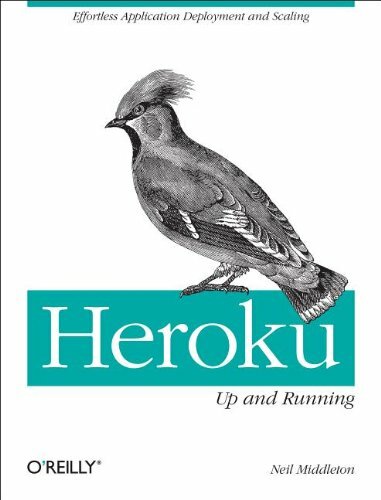 With this book, you'll learn how to use Heroku's Cedar runtime stack, a polyglot platform with native support for several languages and frameworks, including Ruby, Python, Node.js, Java, and more. Learn about how the Heroku platform works and read about day-to-day best practices for hosting your applications on the platform. You'll learn everything from basic concepts to advanced topics such as Buildpacks so you can start running in the cloud right away. Neil Middleton has been developing web applications for over 15 years across a variety of industries and technologies. Now working for a popular agency in the south of England, Neil primarily spends his time writing Ruby applications and deploying to Heroku - the cloud platform provider. Neil is a massive fan of keeping things simple and straightforward.